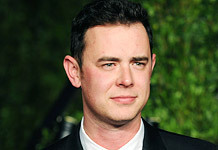 See the gallery for quotes by Colin Hanks. You can to use those 6 images of quotes as a desktop wallpapers. Keep in my mind my dad didn't become a huge, huge mega actor until I was halfway through high school - so right around the time he's going through his big renaissance is right when I'm starting to do my high school revolting. Normally, what I do for fun is just nothing. I try to just relax. Normally, it involves just relaxing and reading and maybe going out and meeting up with a friend. I live a very simple existence. I would much rather just sit around and listen to a couple of records and read the paper. Tower Records was a place to meet your friends, your co-workers or a place to meet new friends who shared a common love of music, literature and all things cultural. When I was younger it was - you know, my dad dressed up in drag on 'Bosom Buddies.' And that was what I was having to deal with at the time. And then around the time that I was into college was when he became statue-worthy I guess you could say. You can't knock somebody for how they got into the business. I'm sure I'm gonna look back at 'Roswell' and some of my first movies and I'm gonna cringe. No matter where you are in your life, whatever set of people you're with, it all still breaks down like high school does. You have your social cliques, you have the people you get along with, the people you don't and the people you're ambivalent about. All of the dynamics are still here. But yeah, I played bass guitar in high school and in college and then I actually fractured my thumb, so my bass career went bye-bye. A baby's existence for the first three months is a one-way street. One person is doing all the work and the other is crying, sleeping and pooping. So the first moment when you're actually able to do something and they acknowledge your presence, that's a big deal. A very big deal. 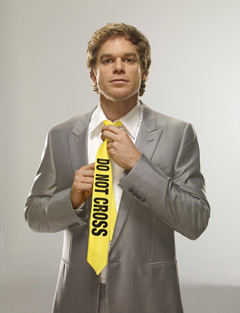 'Lucky' is for laughs, and there's really nothing funny that I'm doing on 'Dexter.' I think more than anything, both comment on the fact that anybody is capable of anything. Just because they are the shy guy in the corner doesn't mean that they are a harmless little bunny. I collect watches because I'm always late, and I need to know exactly how late I'm going to be - in order to come up with a good excuse. I did plays in grade school. I didn't want to come up with some generic Johnny Bravo type name. I'm not that cool, so I might as well stick with my birth name. I eventually thought, this is the only thing I could do as a profession, I can't really do anything else. I played bass guitar in high school and in college and then I actually fractured my thumb, so my bass career went bye-bye. I spent a lot of time in Tower Records. I'm a huge music nerd, and Tower was instrumental to me when I was growing up. I think Robitussin is way underrated. 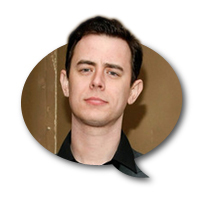 Much more quotes by Colin Hanks below the page. 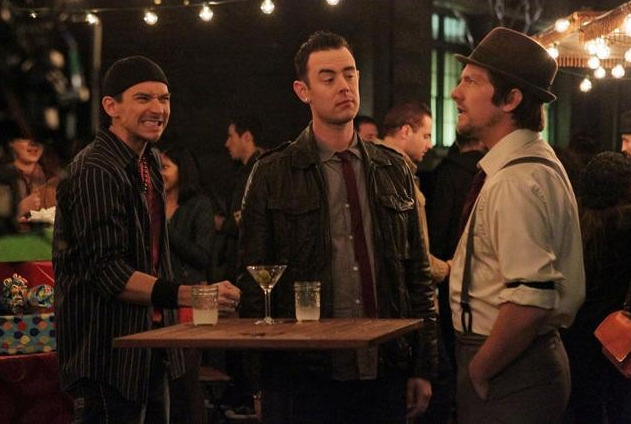 I'm the quiet bass player. My dad has always been extremely supportive in every decision I've made and much more interested in me picking what I wanted to do. To be quite honest, I'm not religious. When it comes down to it, I just want to work. Boxers, man, except when I have to get dressed up. Then it's boxer-briefs. But never tighty-whities. Never. But dude! If they brought back Underoos? Dude, if they brought back Underoos, I would rock the Underoos. Like He-Man and Transformers and G.I. Joe and even like Dukes of Hazzard. Everyone in my industry, the movie industry, is looking at the music industry and going, 'How do we avoid that collapse?' And I don't know if you can, to be quite honest! Having come up in the era where movies are only movies if they're released in the theater... I don't know if that holds true anymore. I've been involved in some movies that have gone 'direct-to-video,' and that used to not be a good thing, but now it's different. I knew that I needed to do something that I desperately loved. There was a period where I did question if it was acting because I knew that I would be making things hard on myself. I knew that there was going to be a little bit of a hullabaloo because of my dad being who he is and all that. I like to look at scenarios and see how people interact with each other. That's why I'm an actor because I try to recreate that. Since our daughter joined us the spectrum has widened. I'm really fascinated with anything that takes place between the 1920s up through the 1960s. In some ways it feels familiar, and in other ways it feels like it's from another planet. I've been able to find just as much interesting, exciting music through the Internet and iTunes... The personal interaction is not the same, and I'm not walking out of a store with a physical thing, so there's definitely an element that is lost, for sure.